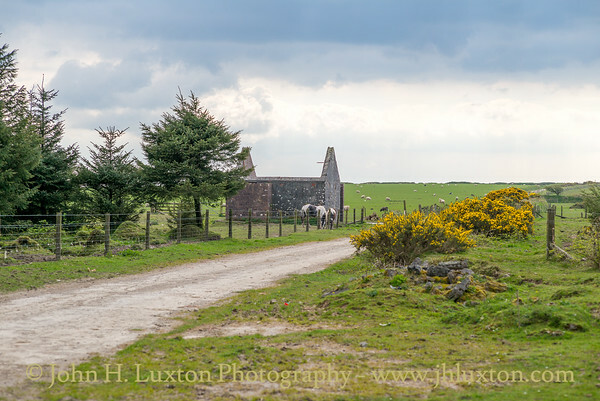 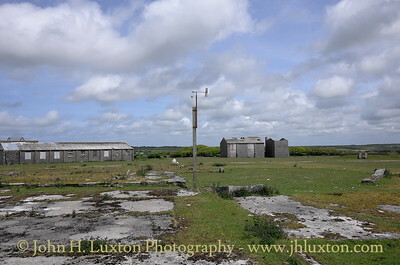 RAF Davidstow Moor is a former WWII Coastal Command Royal Air Force station located 2.9 miles north east of Camelford, Cornwall and 11.5 miles west of Launceston, Cornwall, UK. 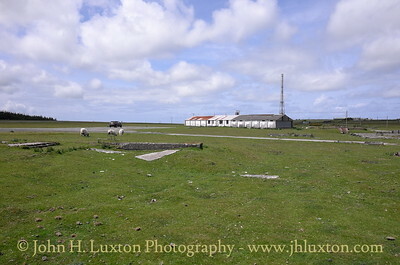 The station was operational from 1942 through to December 1945. 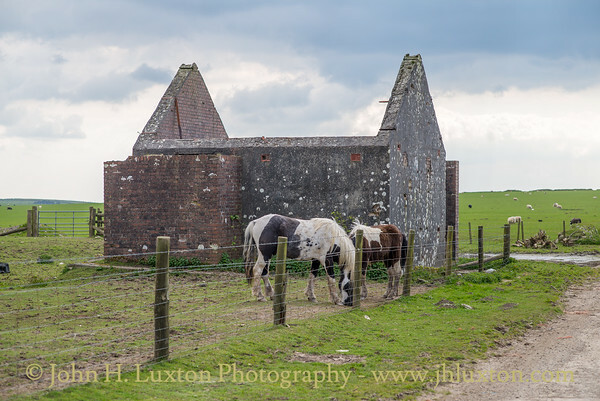 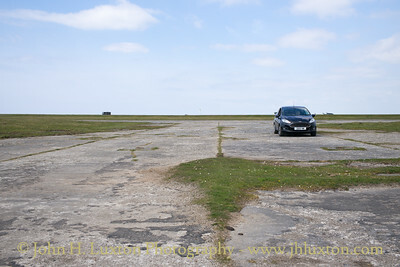 In the early 1950s the site was used as a motor racing circuit - Davidstow Circuit. 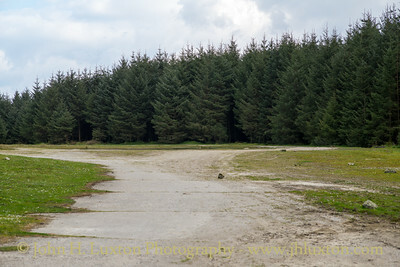 Motor racing ended in the wake of the 1955 Le Mans Disaster. 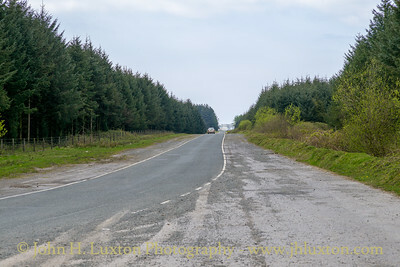 This perimeter track has been incorporated into a public road. 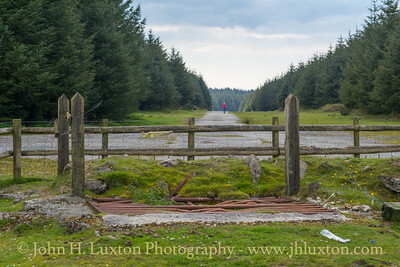 The airfield perimeter track in Davidstow Wood. 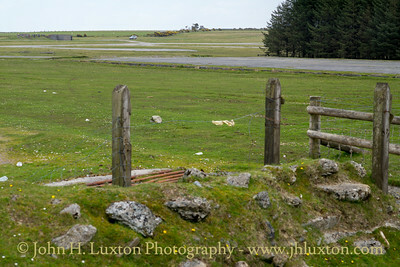 Old cattle grid leading to the perimeter track on the south side of the airfield. 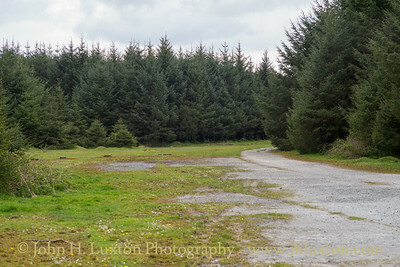 The perimeter track - is now surrounded by Davidstow Wood. 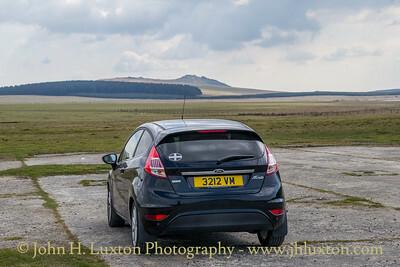 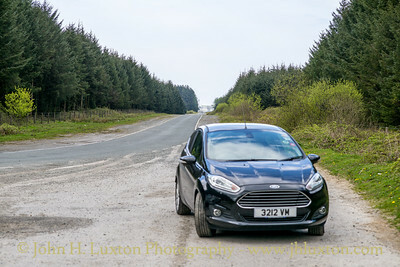 My car parked in one of the dispersal bays facing towards Rough Tor on Bodmin Moor. 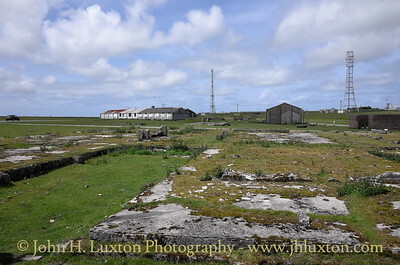 View across the field to the control / watch tower. 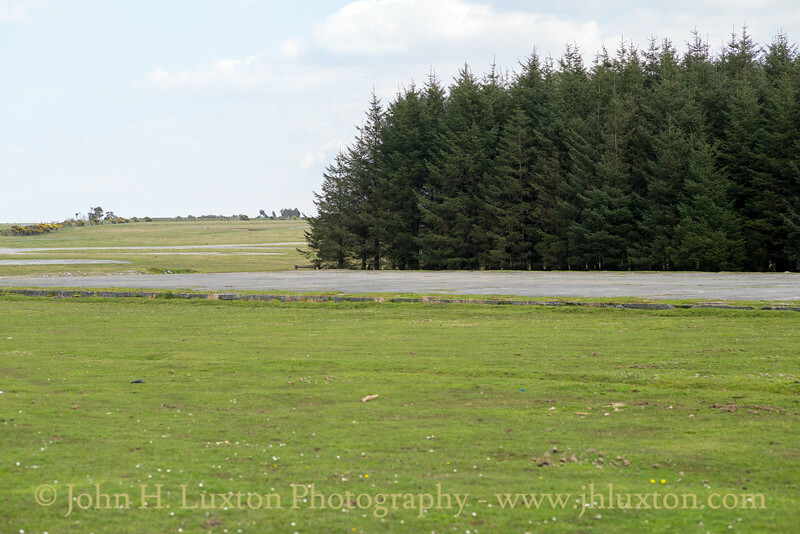 One of the aircraft anchoring points in a dispersal bay. 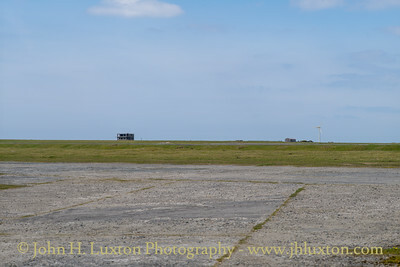 View from one of the dispersal bays across the airfield to the watch / control tower. 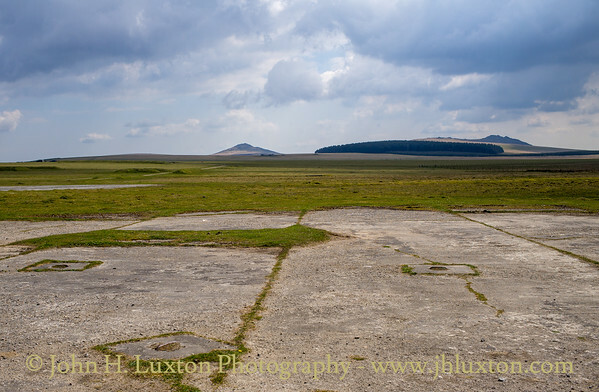 One of the dispersal bays looking towards Bodmin Moor. 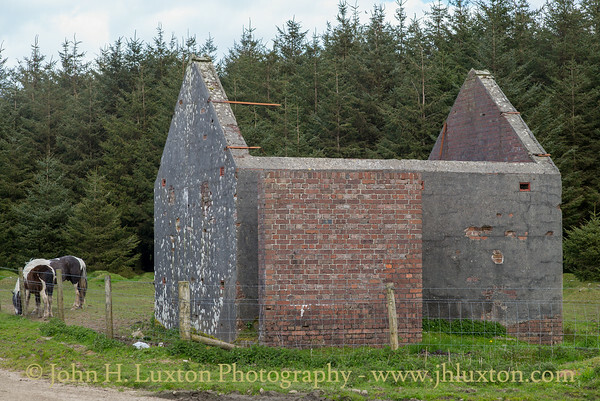 Note the metal ground fastenings to tie down aircraft in this exposed location. 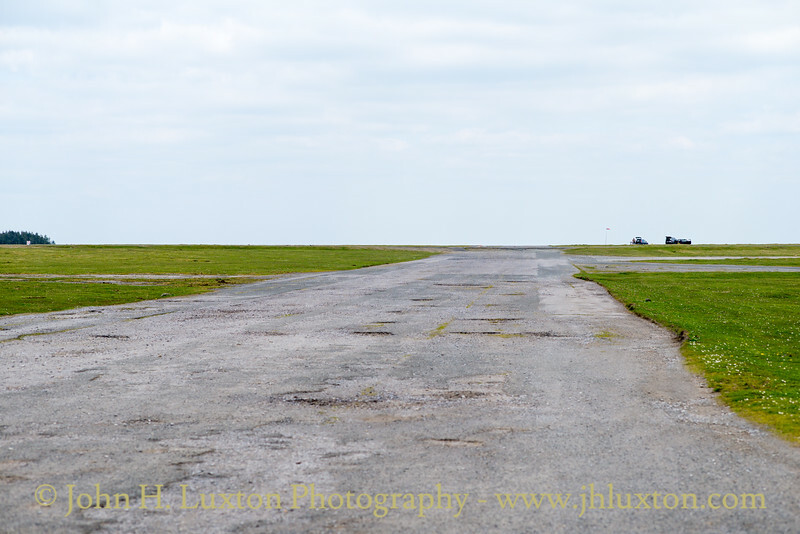 Technical Site: The flying club building. 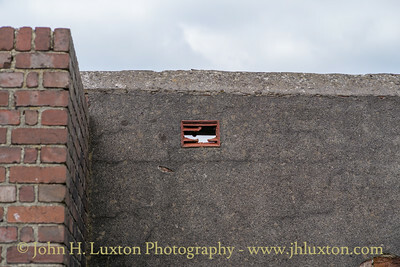 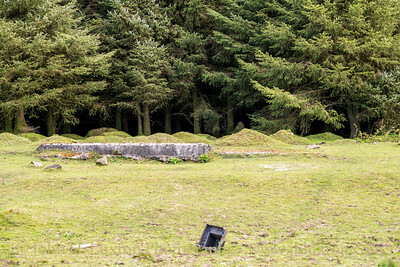 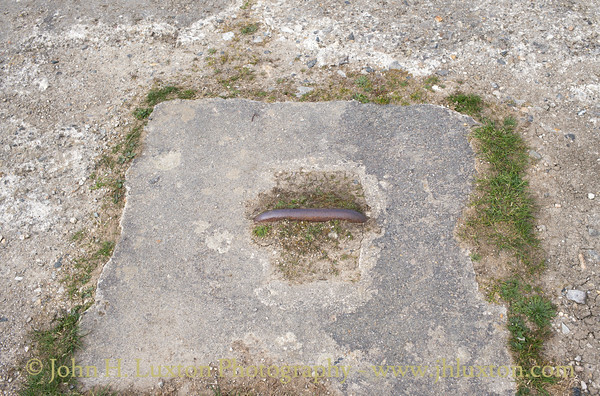 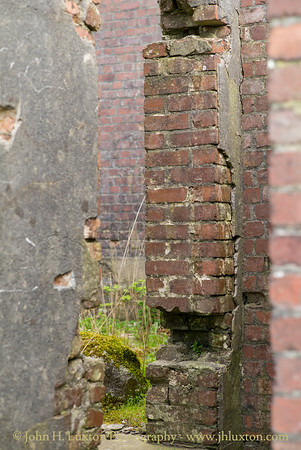 Technical Site: The remains of a wind indicator on the site of the main workshop. 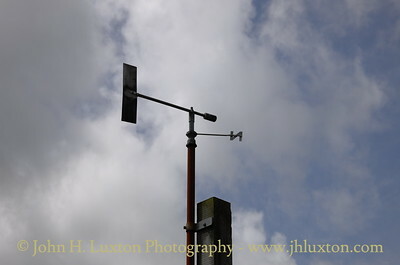 Technical Site: Wind indicator remains.